A lot of people swear by Goodreads. I swear at it. Often. It's a treasure trove of unsourced quotations, some of them fake, just like Wikiquotes. 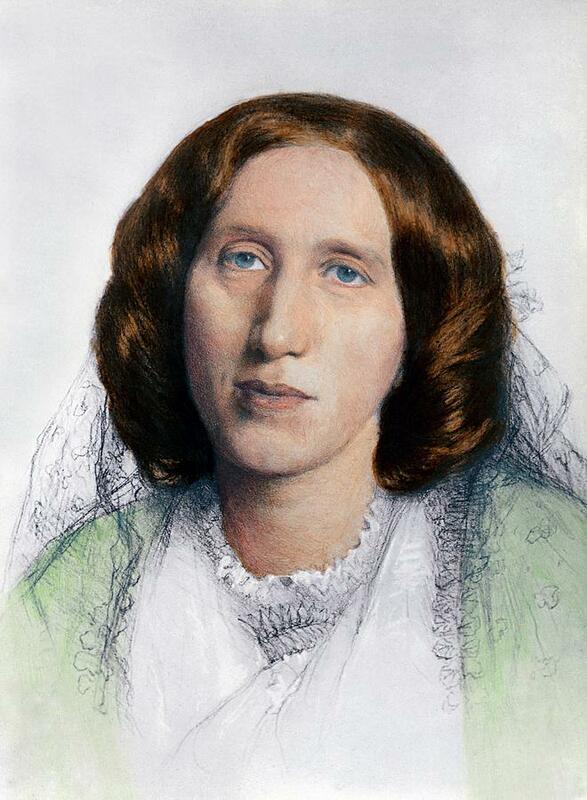 Take the line that tops the list of George Eliot quotes: "It is never too late to be what you might have been." There's no proof she ever said it. None whatsoever. Nobody has found that line in her letters, journals, stories, novels, or even discovered anyone who knew her claiming that she said it. The first time I saw it on Goodreads (and Facebook, that other swamp of bogus quotations along with fake news), I felt sure it had to be phony. I spent two wonderful years in college reading Eliot and reading about her. The words just didn't sound like Eliot, they sounded like a Hallmark card. They sounded peppy. Eliot was many things. Peppy wasn't one of them. Rebecca Mead devoted a section of a beautiful long article about Middlemarch in The New Yorker to investigating the provenance of this quote and came up empty. I sent the link and a mild protest at their complicity to the "librarians" at Goodreads who never bothered to reply. I assume they're happy the fake quote brings them more hits, because two years later, that bogus quote still tops the list. 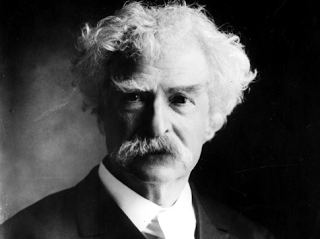 I've often seen this quotation from Mark Twain all over Facebook, and the first time was early in the morning, spoiling my first cup of coffee: "Sometimes I wonder whether the world is being run by smart people who are putting us on or by imbeciles who really mean it." My warning bells went off immediately because the whole thing sounded too contemporary, especially "putting us on." Not that Twain couldn't be scathing about politicians. In A Tramp Abroad he wrote, "An honest man in politics shines more there than he would elsewhere." I haven't read nearly as much Twain as Eliot, but I know The Gilded Age well, having read James, Howells, Wharton, and other novelists of that period extensively. I also researched it for a few years to write my own Gilded Age Novel, Rosedale in Love: The House of Mirth Revisited. 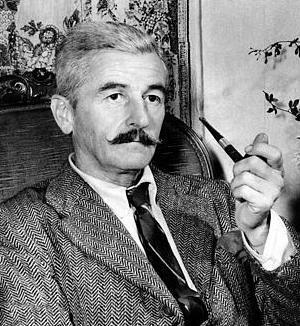 There's one very popular quote people seem to relish during NaNoWriMo that's supposedly by William Faulkner:: "Don't be a writer, be writing." It doesn't show up on searches of Faulkner websites, but it's on Pinterest and Wikiquotes, and there are lots of Google images of it. That's grounds for suspicion as much as the Yoda-like quality of the phrase. I prefer certifiable Faulkner, like the advice he gave in a famous Paris Review interview: "I've heard people say,'If I could just stop doing this, I would be a writer.' I don't believe that. I think if you're going to write you're going to write, and nothing will stop you." Another outrageously obvious misquotation I frequently see on line was supposedly uttered by the brilliant Oscar Wilde: "Be yourself. Everyone else is already taken." Seriously? That sounds like a Nike ad at best. It's not witty, it's blunt and ungraceful. 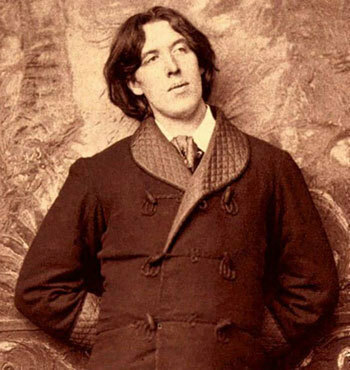 But Wilde did write in a letter to Alfred Douglas that "Most people are other people. Their thoughts are someone else's opinions, their lives a mimicry, their passions a quotation." I wonder what he would have said about people who disseminate fake quotes? If you have a favorite classic author, there's probably a website devoted to sorting the spurious quotes from the authentic ones for that specific writer. So here's a thought: Before posting an inspiring author quote on Facebook or elsewhere, or tweeting it, why not verify whether the author actually said it? As Jane Austen put it so well, "The truth is always at our fingertips, if only we dare reach far enough." Lev Raphael is the author of The Nick Hoffman mystery series and many other books which you can find on Amazon. A different version of this blog appeared on Nov 19, 2014.